We were asked to transform one of the oldest restaurants in Albuquerque into a 21st century luxury event space while honoring its history. Heritage Hotels purchased the revered Maria Teresa Restaurant and turned to Surroundings to face the challenge of redesigning the site and landscape. 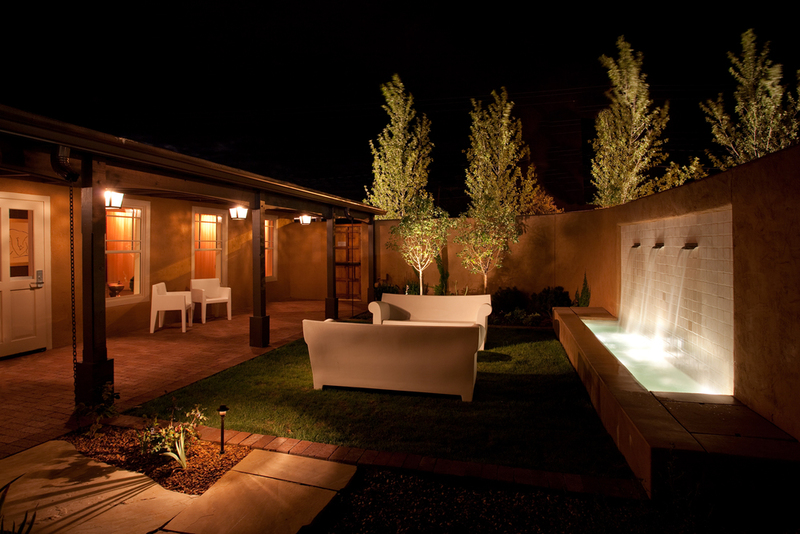 Our concept took the historic Spanish courtyard pattern and transformed it with a modern interpretation. The original 1773 adobe hacienda over the years had been enclosed and organized around an interior central courtyard. This space is the signature image for the new Casa Esencia as it is the primary gathering spot for parties and events. 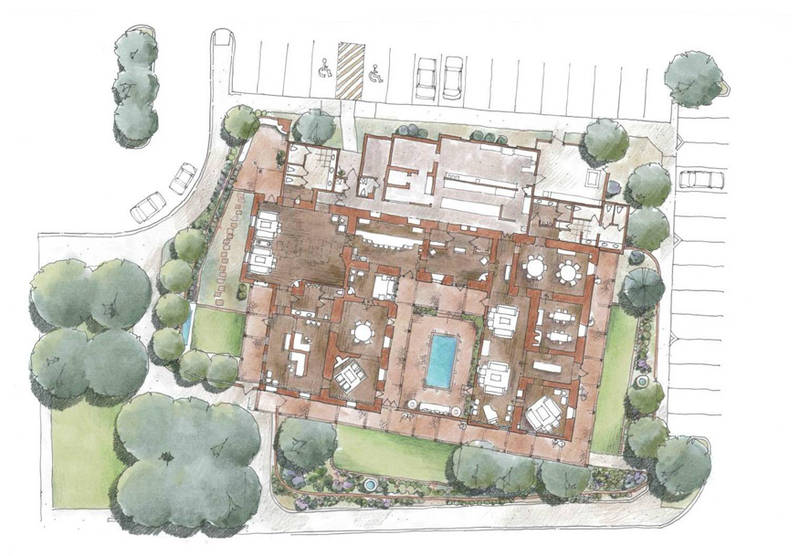 The solution was a simple rectangular reflecting pool placed within an intricate, yet modern, paving pattern of bricks and small white tile inserts. The white tiles appear to glow due to the lighting from the pool at night. Along the interior edge of the pool is a continuous cove of Fiberstar lighting. 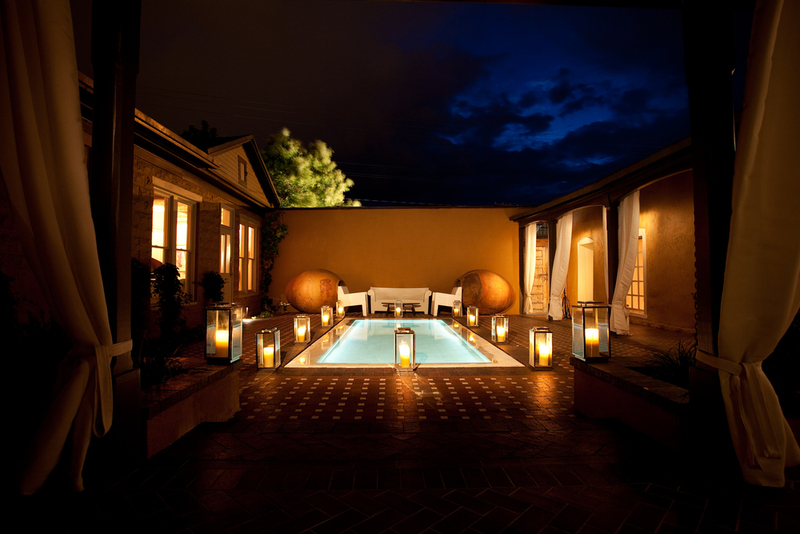 This allows the white tiles of the pool and courtyard to be gently flooded with subtle light in any color desired creating a powerful evening experience.